CD number 12 under his own name. ‘TYPICAL’ 8 original new tunes and one standerd recorded live with a great new sextet. 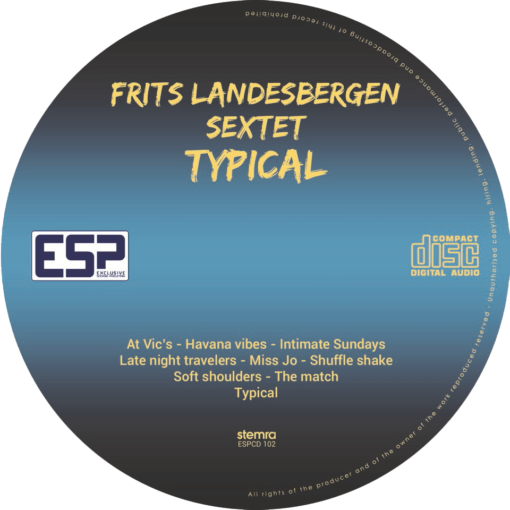 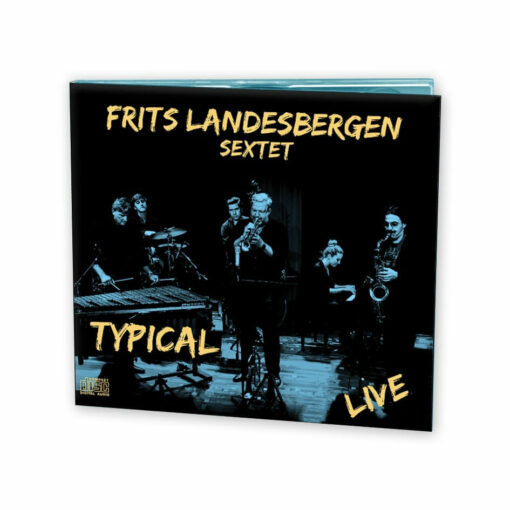 Vibraphonist Frits Landesbergen composed 8 new songs for a brand new international sextet together with Trumpetter Nanouck Brassers, Saxophonist Max Ionata, Pianist Francesca Tandoi, Drummer Willem Romers and Bassist Matheus Nicolaiewsky. The music is based on the swinging jazz tradition and the musical signature of legendary jazz names like, Art Blakey, Horace Silver, Miles Davis is represented in the music recorded on this CD. 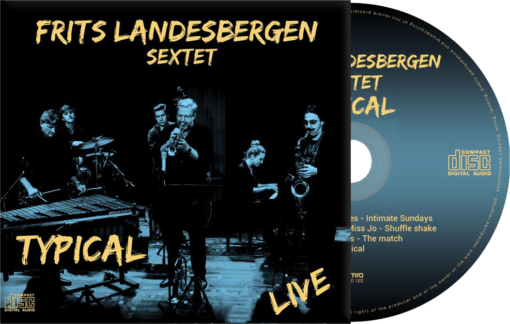 Tenor saxophonist Max Ionata is featured artist on this CD and is widely recognised one of the leading European saxophonists at this moment.